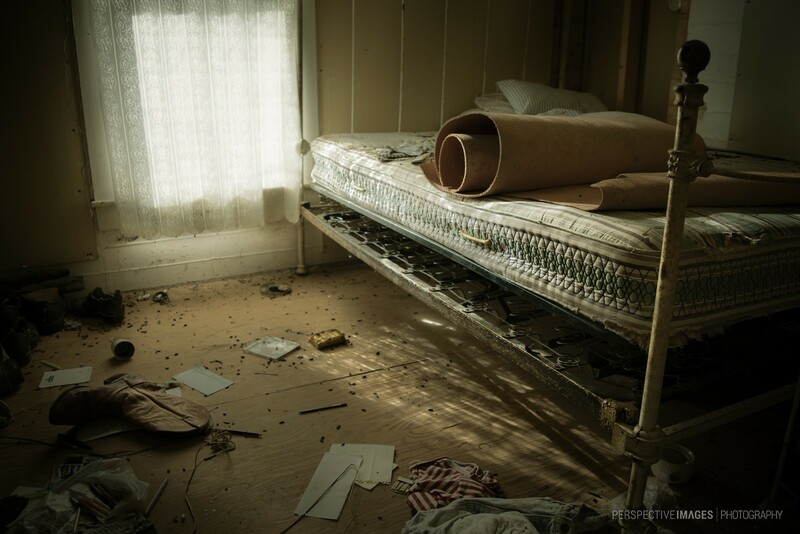 Remanent’s of someones former life are scattered across the floor of this bedroom at an abandoned mountain home. Was it an emergency or a clean start and they walk away from a chapter in their life? If I had to bet on one of the choices, I would say it was a clean start. It’s “more positive” thinking that way. I also agree, that narrative fits the scene much better.